Atlanta International Packing and Crating, meets the current regulations	as set forth by the IPPC for the ISPM-15 Program. The current regulations	state that all coniferous wood packaging materials used in export shipping	must be heat treated at 56 degrees Celsius for a minimum of 30 minutes	at core temperature. material used was heat treated. 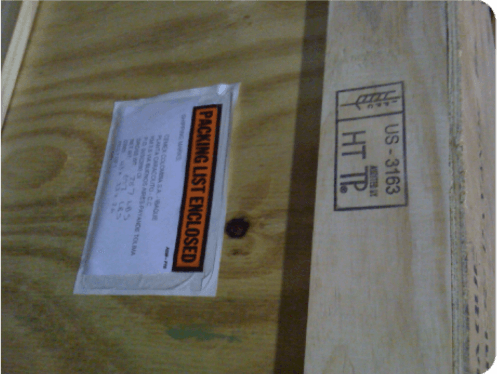 Atlanta International Packing and Crating certifies that all its wood packaging	materials are heat treated.